EPA action under Clean Water Act cited as determining factor. 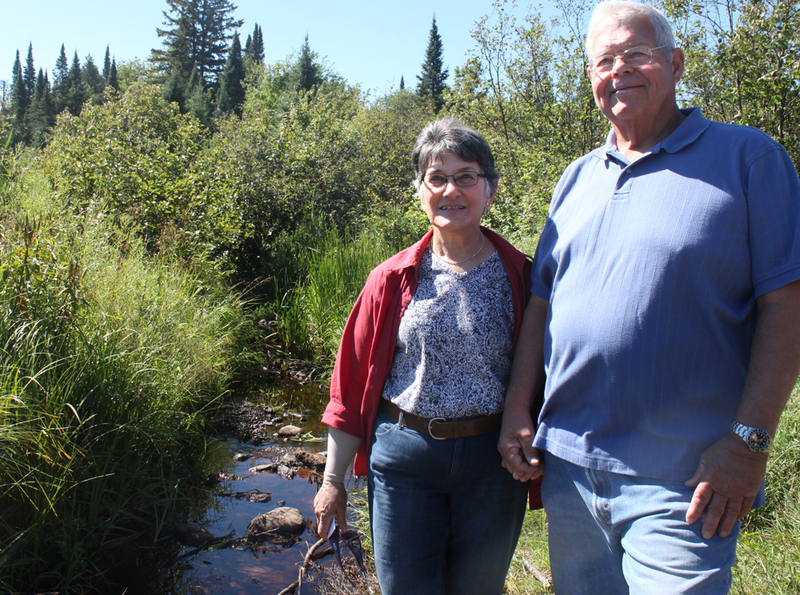 Jim and Maria Minikel, pictured here in 2013, retired to the Wisconsin Northwoods. Their home and 160 acres on Caroline Lake would abut the proposed site of the Gogebic Taconite iron mine.Click image to enlarge. On Sunday, Gogebic Taconite closed the doors on its office in northern Wisconsin and effectively scrapped a 5-year campaign to build a massive open-pit iron mine on the shores of Lake Superior. The reason, the company said, was the prohibitive cost and regulatory uncertainty surrounding its wetland-rich mine site. “Our extensive environmental investigation and analysis of the site has revealed wetland issues that make major continued investment unfeasible at this time from both a cost perspective and given the uncertainty of recent U.S. Environmental Protection Agency actions, such as the events concerning the Alaskan Pebble Mine,” it said in a statement. I first heard about the Gogebic mine four years ago when I traveled to the Bad River Reservation near Ashland, Wis., on my first assignment for Circle of Blue. I was asking about the area’s culturally and ecologically important wild rice beds when a tribal member voiced his concerns about the proposed mine. Pollution from such a mine could devastate water quality and the rice, he said. Two years later I returned as a fellow with the Institutes for Journalism and Natural Resources’ Mining Country program. We visited a camp of protesters in the forests near the mine site, talked with retirees who tearfully worried about the fate of their Northwoods retreat, and listened to residents who desperately wanted the mine’s jobs so their children could stay at home. Controversy over the mine had reached a boiling point by that time. Armed guards hired by Gogebic were reportedly roaming the forests to defend against violent vandals, and opponents to the mine were scrutinizing a law—passed by Republican legislators with significant input from Gogebic—that rolled back protections for wetlands. 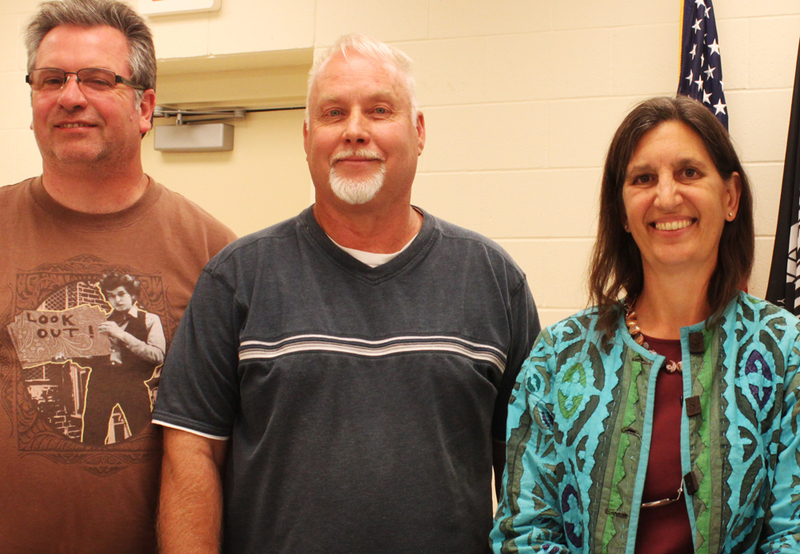 Members of the Iron County Mining Impact Committee, pictured here in 2013, supported the Gogebic Taconite mine because it would bring much-needed jobs to the region.Click image to enlarge. If the company’s statement is candid, none of this had any bearing on the final outcome for the mine. Instead, its fate rested on actions taken by a Democratic administration in Washington, D.C., to stop the Pebble gold mine nearly 5,000 kilometers away in Bristol Bay, Alaska. The Pebble mine is at the center of one of several high-profile political battles over the Clean Water Act—the Gogebic mine is the latest example of their wide-reaching implications. In the Pebble case, the U.S. Environmental Protection Agency began the process to implement a rarely used veto under the Clean Water Act. The veto would prevent the mine from obtaining permits to fill in streams and wetlands that support the world’s largest wild sockeye salmon fishery in Bristol Bay. The veto is not yet official and Pebble owner Northern Dynasty challenged the move in court, but it was enough to prompt one of the mine’s major investors—international mining giant Rio Tinto—to remove its support last year. A separate action, proposed by the EPA last year to clarify its jurisdiction under the Clean Water Act, would firmly place thousands of small streams and headwater wetlands under the law’s protection. The site of the proposed Gogebic mine is laced with wetlands in the headwaters of the Bad River, which flows into Lake Superior. Officials at Gogebic expressed concerns about the cost of avoiding and reducing damage to the wetlands, especially in light of the federal actions. In early February, the company announced that it would consider building four smaller mines on the site instead of one large pit to reduce its footprint, the Milwaukee Journal Sentinel reported. Gogebic abandoned those plans, too, though it said it will not rule out a mine definitively. “We will continue to investigate the possibility of pursuing a permit to mine the Upson site but cannot justify maintaining an office in Hurley [Wis.] without a prospect of immediate action,” the company’s statement said. The big corporations think they can just come in and wipe out any and all sources of water and air quality to obtain their needs. A line needs to be drawn of what they can and can not do. The wetlands need to be left alone as they are ecosystems that, if destroyed, will destroy everything in its path. The ecosystems are vital to all areas of life, how do you replace that? You don’t.